Window shutters Birmingham by Just Shutters; your local shutter experts. 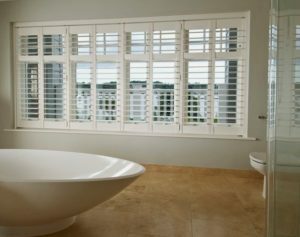 We offer you the widest choice of interior Plantation Shutters in the UK together with our own exclusive ranges. Andy Cox-Peel is your local shutter specialist. 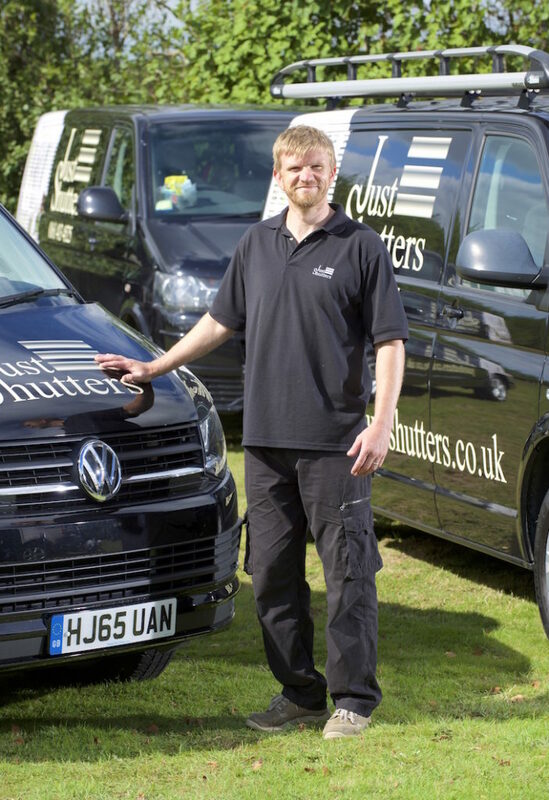 A life long carpenter, with a special passion for shutters, Andy provides the Just Shutters impeccable quality, value and service, with our lifetime guarantee. So, if you live in the West Midlands area and are looking for shutters, you can trust Just Shutters to give you your dream solution at a great price. Plantation Shutters are the perfect window covering option, not only are they beautiful and super stylish, but in addition to this they are hard wearing, maintenance free and as a result are extremely practical. – They are child safe and as a result they do not have dangerous pull cords. – Shutters don’t hold dust and consequently they reduce allergens. – They reduce heat loss, save energy and as a result money. – Shutters offer you value and long-term investment, as they are sold with the home shutters make you £££ when you come to sell. – They provide privacy, security, light control and can easily be wiped clean. There are just so many reasons to love Shutters! Just Shutters Birmingham serves much of the West Midlands; from Tamworth to Birmingham, Solihull to Bromsgrove. We have an outstanding reputation for quality and service, just look us up on checkatrade.com where as a result we have over 1700 impartial reviews and a 9.9/10 score (we’re working on the other 0.1%). If you would like Plantation Shutters in your property, you know that with the widest choice of shutters and an unsurpassed reputation, Just Shutters will do a fantastic job. People often ask ‘are shutters expensive?’. It is not hard to see why they might have that assumption, with shutters being common place in boutique hotels and luxury property developments. However, shutters may not cost as much as you may think! We strive to ensure our prices are affordable and that you get good value for money. Click here to use our online calculator tool to see how much your shutters may cost. Customer satisfaction is at the heart of what we do at Just Shutters. Therefore, feedback from our customers is very important to us – examples of the positive feedback we frequently receive can be seen below. In addition, we are immensely proud of the 9.9/10 rating we have achieved on Checkatrade from over 1800 independent reviews. Visit our checkatrade profile to see our full list. You may like to see: Just Shutters West Midlands, Just Shutters Solihull, Just Shutters Redditch or Just Shutters Sutton Coldfield.